Everything was in full swing at the Pletschacher Group in Dasing, Bayern: In August, 44 trailer trucks left the tent builder’s premises daily to make sure that everything was ready for when Oktoberfest 2018 starts. The company builds nearly all of the large party tents and stands for the world’s largest folk festival in Munich. 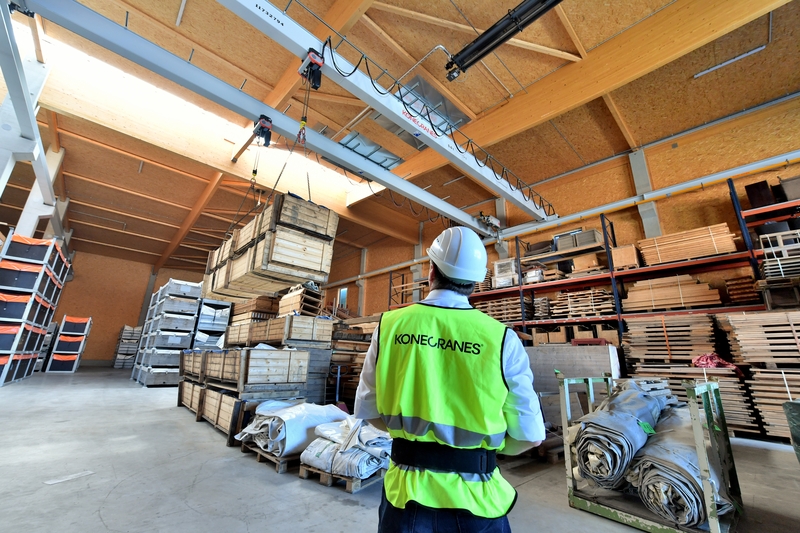 A specially designed heavy-duty forklift, a double-girder bridge crane and electric chain hoists from Konecranes help to make sure that everything that is important reaches the festival grounds on time. The party tents at the Munich Oktoberfest could shelter the inhabitants of an entire city – they have room for at least 119,000 people. Quite an effort is required each year to erect these and many smaller stands on the festival grounds. Pletschacher, one of Germany’s largest tent builders, was in charge of this once again in 2018. 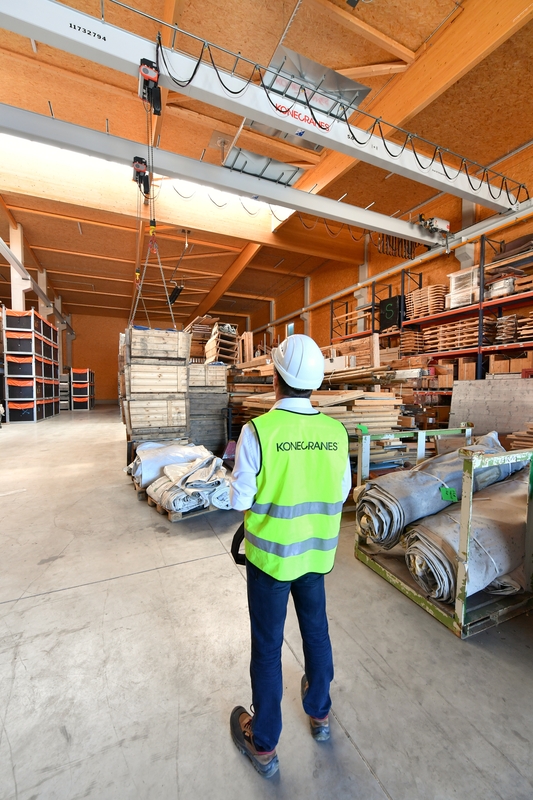 Everything must go according to plan when storing and loading components, from heavy wooden beams to tarpaulins, planks, and wall elements and all the way to huge beer mugs, so its critical to ensure that everything is in place for the opening in Munich on September 22. To transport the tent elements quickly, safely, and reliably, Konecranes designed a double-girder bridge crane with 2 x 5 tonnes capacity, electric chain hoists, as well as a 10-tonne heavy-duty forklift for the Pletschacher Group. The new equipment is used in the new storage area of Pletschacher in Dasing. All elements that are needed for the Oktoberfest tents and a lot more, are stored there in four halls on a total surface area of 16,500 sqm. Approximately 1,500 container loads fit inside the halls, and there is room for 500 additional containers outside. Pletschacher started in 1948 as a one-person operation. Today, it builds almost all of the large party tents and a majority of the smaller stands at the Oktoberfest event. The company, with headquarters in Dasing near Augsburg, also supplies other large folk festivals, such as the Gäubodenfest in Straubing, the Cannstatter Wasen, and other Oktoberfest events. In addition to building party tents, Pletschacher is also involved in commercial, retail, and office construction, from the roof structure to the interior design. 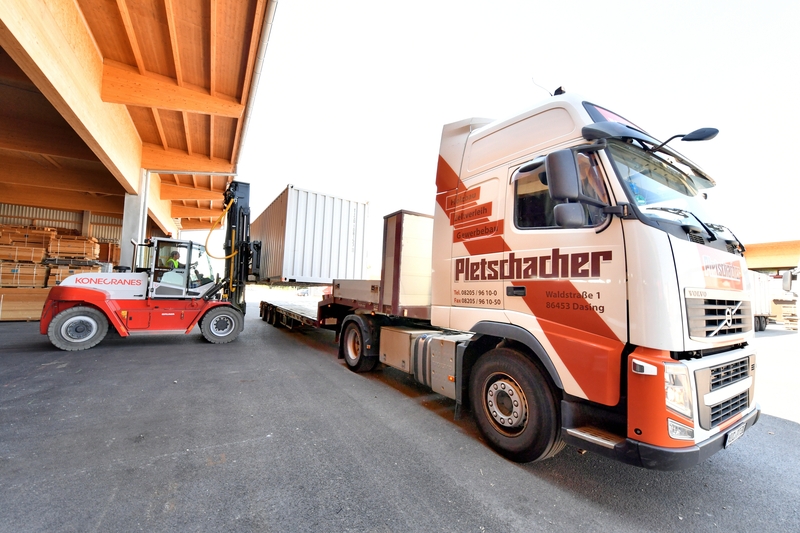 Pletschacher uses the four new halls to store material on Euro-pallets as well as in skeleton containers and up to 5-meter-long transport boxes. The loads, which weigh between 100 kilograms and 5 tonnes, must be moved and loaded inside the hall with speed and precision. “Any delay costs Pletschacher and its customers a lot of money. On days like this one, just before the Oktoberfest, the work pretty much never stops,” says Walter Fischer, Sales Manager at Konecranes. The new Pletschacher crane must, therefore, be able to lift quickly and continuously, must be easy to operate, and must be able to load large wooden elements with precision. For this reason, Konecranes designed a customized double-girder bridge crane and electric chain hoists for Pletschacher. The crane has a span width of 18.5 meters and transports loads of up to 10 tonnes inside the hall. In order to be able to move bulky components, there is a distance of 3 meters between its two hoists, and it is equipped with Synchro-Hoisting hoist synchronization. It ensures identical hoisting speeds even in the case of different loads. for a smaller turn radius. This means the driver is also able to maneuver it in narrow circumstances. An electronic weight indicator in the ergonomic, sound- and vibration-insulated Optima cabin allows safe transport and a precise loading process. The studless front window of the cabin also provides the driver with a very good overview, while the heated seating and air conditioning create a pleasant environment for several hours of work. [Photo 1 + 2] Everything under control: The new double-girder bridge crane with electric chain hoists from Konecranes lifts loads up to 5 tonnes for Pletschacher. The two crabs, at a distance of 3 metres from each other, also lift bulky transport goods for the Munich festival grounds. 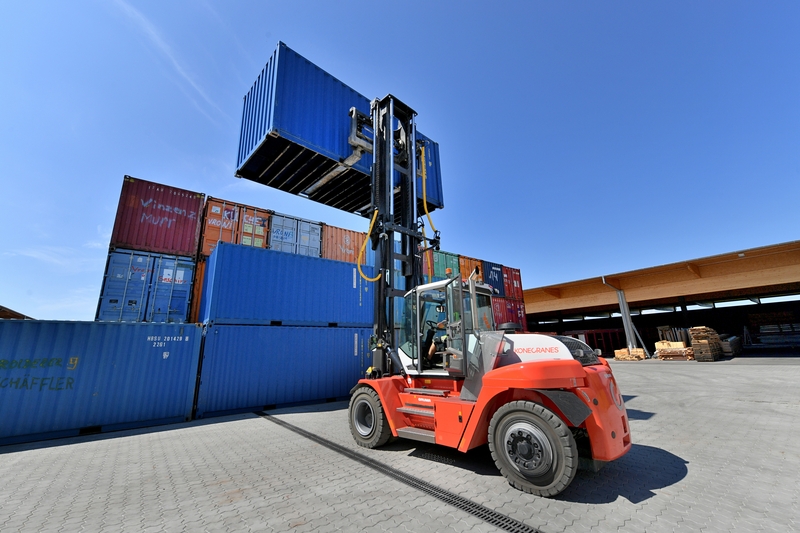 [Photo 3 + 4] Compact power pack: The heavy-duty forklift, SMV 10-1200 C from Konecranes Lifttrucks, transports containers up to 10 tonnes for Pletschacher – and is 25 cm shorter than normal with its 3 metres wheelbase. 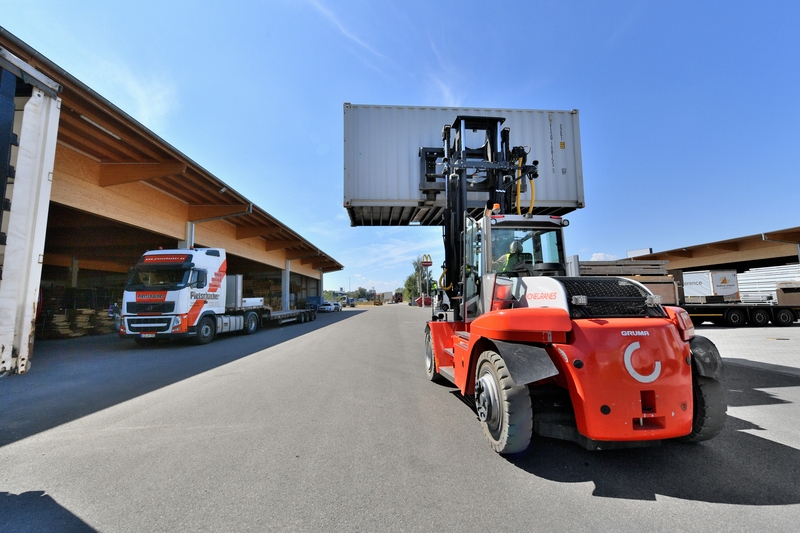 [Photo 5] So everything that matters reaches the festival grounds: The new heavy-duty forklift from Konecranes Lifttrucks loads the 44 truck tractor trains that are currently driving every day from Dasing to the Oktoberfest in Munich.